Visual Field Testing | Costco Camas WA | Dr. Scott Lewis, O.D. 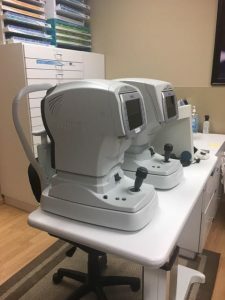 Each eye is tested separately and the entire test takes 20-30 minutes depending on the type of visual field test performed. The most common reason for performing a threshold visual field test is to evaluate the visual field as a potential risk factor for glaucoma. After examining the eye health and the optic nerve health in particular, measuring the intraocular pressure, and evaluating the results of visual field testing, Dr Lewis will discuss with the patient whether or not there is suspicion of glaucoma.